20% off Southern Gates all this week! 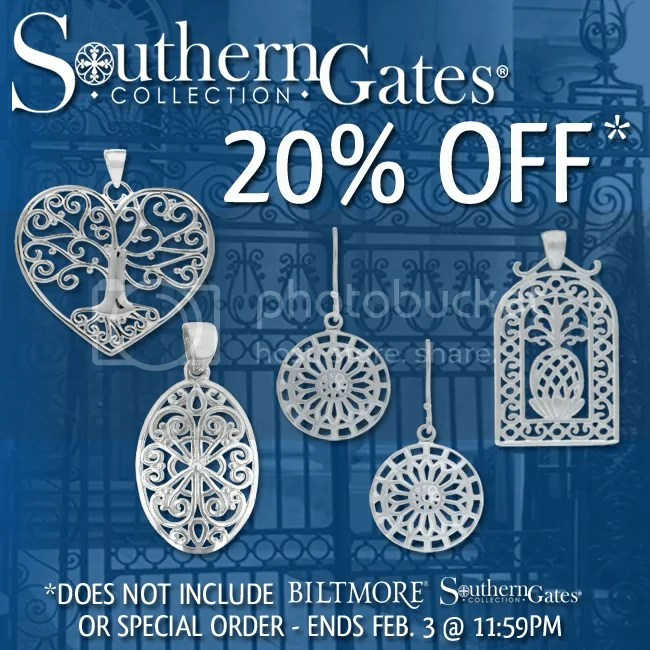 (Does not include Biltmore Southern Gates or Special Order Southern Gates) Ends Feb. 3. This entry was posted in Jewelry, Jewelry Brands and tagged Jewelry, sale, southern gates. Bookmark the permalink.